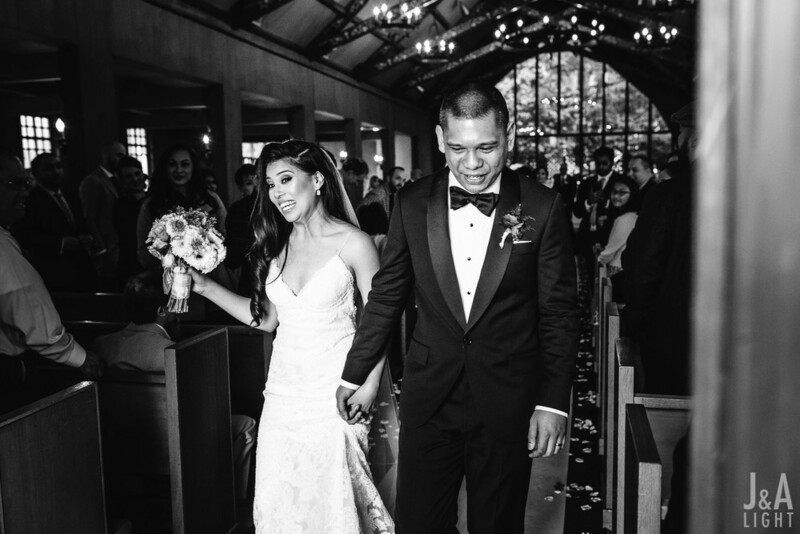 There isn’t much to say about Catherine + Jeyel that we haven’t already covered. Just as they were during their engagement session, they were still beacons of goodness in every dimension on their wedding day. Photographing them is always a treat and the emotional heights of their wedding day only made them better. While the love between Catherine + Jeyel was just as apparent this day as it was during their awesome engagement session, the center of those emotions shifted to Catherine's sons, Cale and Hayden. While they might have started as just Catherine’s, Jeyel has taken them as his own; the respect he has earned from the two boys could not be more apparent than on this day. The real appreciation and respect for Jeyel was just as strong as the sentiments of paternal love and leadership he had for the boys. 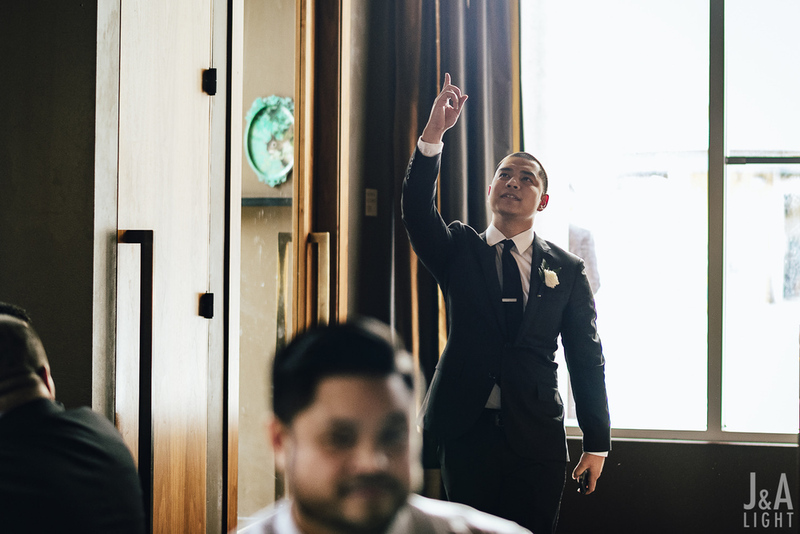 This connection was not a surprise; while we were learning about Catherine+Jeyel, they intimated that Jeyel proposed to Catherine not only marriage, but also a pledge fatherhood to Cale and Hayden who he also insisted be in the room. The image they painted for us, with Catherine, Jeyel, Cale, and Hayden in embrace and Jeyel declaring that he wants for life what they were in that moment is the beautiful light cast on everything that happens with this familiy. From their wedding day, it is evident that he has taken up the mantle of father to the young boys with an uncommon verve. To us, the heart of this day is the love that was cultivated between Catherine and Jeyel that was so big that it extended to Cale and Hayden as well. They are a story of complete acceptance that could only be perpetrated by exceptional individuals who magnify the best in the other. The day itself started at The Clift Hotel in San Francisco, and continued across town at the Chapel of Our Lady in the San Francisco Presidio. The ceremony was the first time we felt all the warmth this family brought out in all those who cared for them and it proved just the start of the good vibes of the day. After a ceremony featuring Catherine’s sister Christy as the officiant, a cocktail and dinner reception was held at the stylish 1300 On Fillmore. The combination of dramatic bar area, the history of jazz on display, and dynamically lit dining areas was a perfect complement to the complexities and depth of Cat+Jey’s cool. It was an easy hipness that reflected them perfectly. We cannot thank Catherine+Jeyel enough for having us for their wedding day; you’ve touched us and shone us real light in humanity. Wedding Bands by Tiffany & Co.